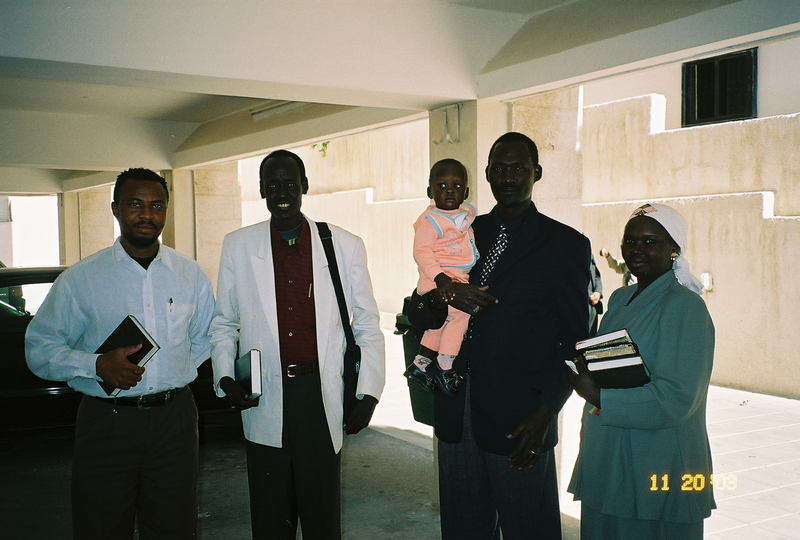 The team we were with had purchased Bibles from the Bible Society in the Somali language. 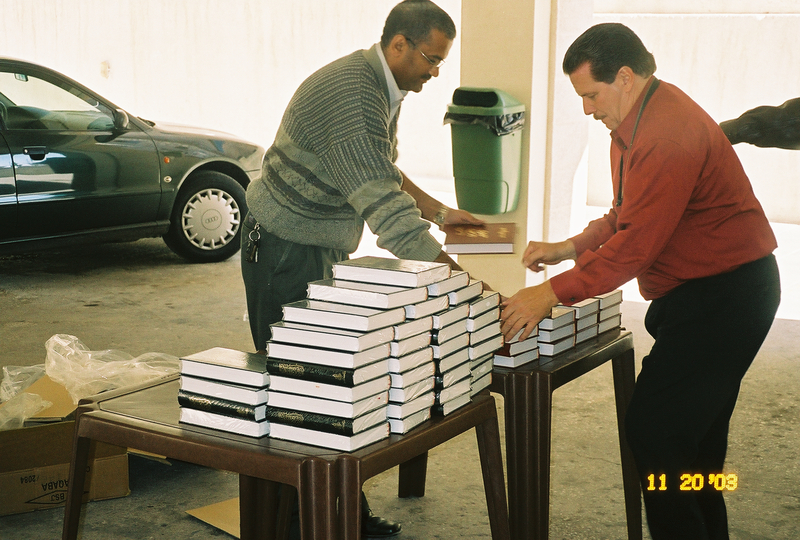 We went to the service and put the Bibles on a table and anyone who came to the service could have a Bible if they wanted one. Of course any that were left over we gave to the pastor. The congregation was thrilled to have us worship with them. They told of the hardship they had in Somalia and how happy they were to be refugees in Jordan. 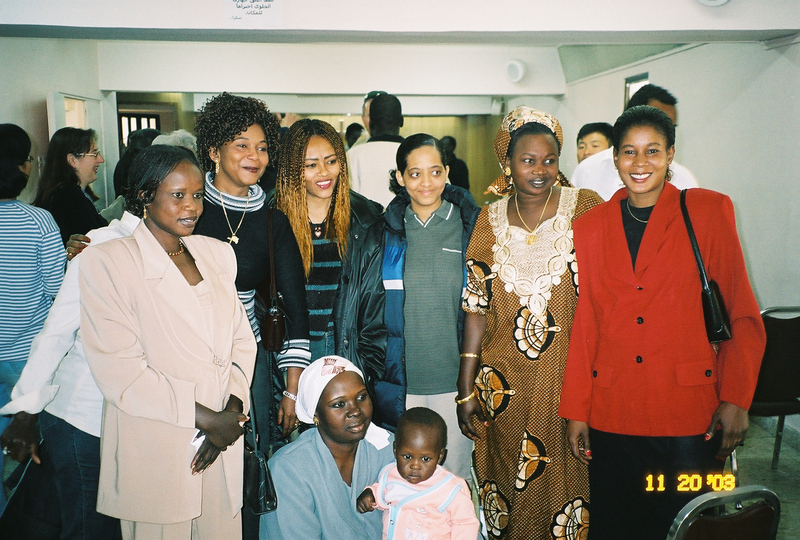 The pastor and his ministry team were so friendly. You see over there the color of skin doesn’t matter. I think the most heart warming thing I have seen in a long time are these two children. They are sharing the bible the one little girl got in Sunday School. Of course it didn’t take long for us to find a children’s bible for the other little girl. Of all the places I have been the one thing I have learned is that skin color doesn’t matter. Everyone needs to hear the Word of God and it is my job, as well as yours, to tell them about Jesus. The greatest thing we can do for someone is to tell them that Jesus loves them. In the end all that matters is Jesus. Praise God! A wonderful report.